A new mix of compact Osteospermums, with flowers in shades of purple, rose and white, all with dark centres. Plants are compact and bushy and show well in borders and pots. Flowers come out from May/June to September and grow to a height of 20-30cm. 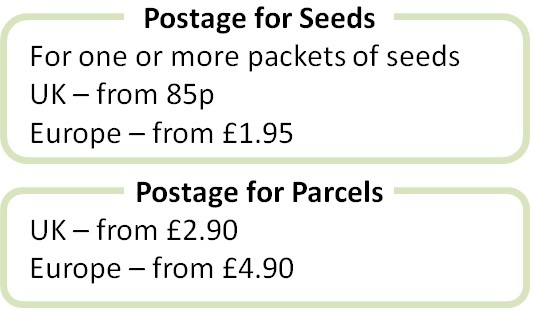 Pack of 20 seeds. Sow in spring or autumn, for planting out after the last frost. Sowing instructions and a colour photo are printed on the packet.